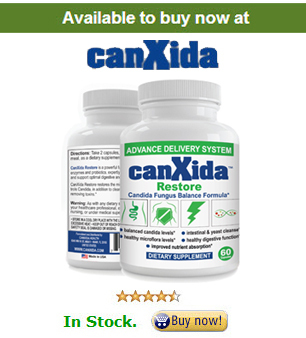 Discover what are the signs and symptoms of candida fungus and what you can do about it. This is one of the most comprehensive articles on how you can find out if you really have candida or it’s something else. One of the reasons it is so difficult to diagnose a Candida albicans overgrowth/infection is because the symptoms of Candida very often mimic other medical conditions, however you can take this candida yeast infection quiz to find out how severe is your candida if you suffer from the symptoms listed below. Given the fact that symptoms memic other conditions this generally leads the majority of medical professionals to misdiagnose Candida as something far more common, especially if you’ve never presented with symptoms before. How Do You Know You Have Candida? What Are The Signs and Symptoms? A lot of people develop these symptoms and treat them successfully with over-the-counter medications. Others find their infections just won’t clear up, or clear up and come back often – worse each time. This is a sign you have a more serious underlying condition that needs to be treated. Of course, the above list is not 100% inclusive and as you can see there are dozens of symptoms that can be confused with other disorders. While the symptoms of diabetes might lead a doctor to look for Candida, the symptoms associated with hypothyroidism might not. Cysts and polyps, swollen lymph nodes, sleep disorders, general malaise, chronic fatigue, and similar disorders all seem like they should have simple explanations, but when these disorders don’t clear up with standard treatment protocols, we need to learn to dig deeper. And that’s another problem, which leads us back to the causes of Candida. Standard treatment protocol often calls for a round of antibiotics, steroids, or other medications. Antibiotics actually allow Candida to thrive, so each and every round – each renewed prescription we take because we think the first didn’t work – is allowing the Candida infection to grow worse. Never be afraid to question your doctor when you present with symptoms that you don’t understand or that should have cleared up but do not. Educate yourself about Candida albicans and ask your doctor educated questions; and, if necessary, find a doctor or naturopath with an open mind who is willing to discuss your candida testing and treatment options. Take the candida quiz to determine how severe is your candida infection.